Read more from the Wednesday Journal! Listen to the full debate from WXXI News! Read more from The Eagle! Read more from City Watch LA! Read more from The Sacramento Bee! Read more from WXXV 25! Read more from the Herald-Whig! Read more from The State Journal-Register! “Read more from the Chicago Sun-Times! “Read more from the Illinois News Network! Read more from the Herald-Tribune! 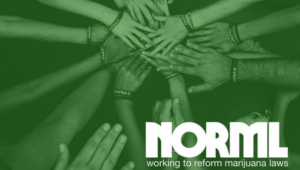 Follow NORML of Florida on Facebook, Twitter and become a member today! Read more from Fox 11! Read more from NBC 29! 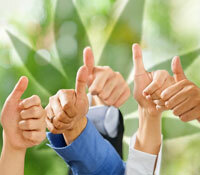 Read more from Weed News! Read more from KVAL 13! Read more from the Lansing City Pulse! Read more from the Daily Freeman! Read more from In These Times! Follow Mid-Missouri NORML on Facebook and become a member today! Read more from the Austin Business Journal! Read more from WTKR News 3! Read more from Wisconsin Public Radio! Read more from WFLA News 8! Follow Central Florida NORML on Facebook and become a member today! Read more from WTKR 3! Read more from My Wabash Valley! Read more from 790 KABC! Read more from The Potrero View! Read more from SF Weekly! Read more from Cannabis Now! Read more from the Tahoe Daily Tribune! Read more from the Green Bay Progressive! Read more from the WTMJ TV! Read more from Dallas News! Read more from the Daily Press! Read more from WHSV 3! Read more from the Richmond Free Press! Read more from Alt Daily! Read more from Public New Service! Read more from Southside Daily! Read more from WTVR CBS 6! Read more from 13 News Now! Read more from The Exponent! Read more from WDBJ 7! Read more from the Inlander! Read more from Local Memphis! Follow Memphis NORML on Facebook and become a member today! Read more from Fox 17! Read more from The Manchester Mirror! Read more from KARE 11! Read more from WCCO TV! Marijuana policy should be evidence based. Help dispel the myths and misinformation with NORML’s Fact Sheets! Read more from City Watch! Read more from the Telegram.com! Follow MassCann NORML on Facebook and Twitter and become a member today! Read more from the News Leader! Read more from the Rolling Stone! Read more from The Charlotte Observer! Read more from One Illinois! Read more from the Chicago Sun Times! Follow Chicago NORML on Facebook and Twitter and become a member today! Read more from The State House File! Read more from Fox 59! Read more from the Desert Sun! Read more from the Statesman! Read more from WY Daily! “Three quarters of Virginians are in support of decriminalization and I expect that number to rise as more people try medical and see the benefits and the days of reefer madness fall to the wayside,” said Scaccia. Read more from the Richmond Register! Follow Kentucky NORML on Facebook and Twitter and become a member today! Read more from ABC 15 Arizona! Read more from WWMT News 2! Read more from ABC 13 WHAM!